Please save the date and plan to attend these two upcoming events. President McNeill is asking each church to distribute the flyer to the millennials in your congregation, encourage them to share this information with their peers and have them attend the Rally at Southern Friendship. He is also asking each church to bring at least 20 members to the Rally at Southern Friendship. 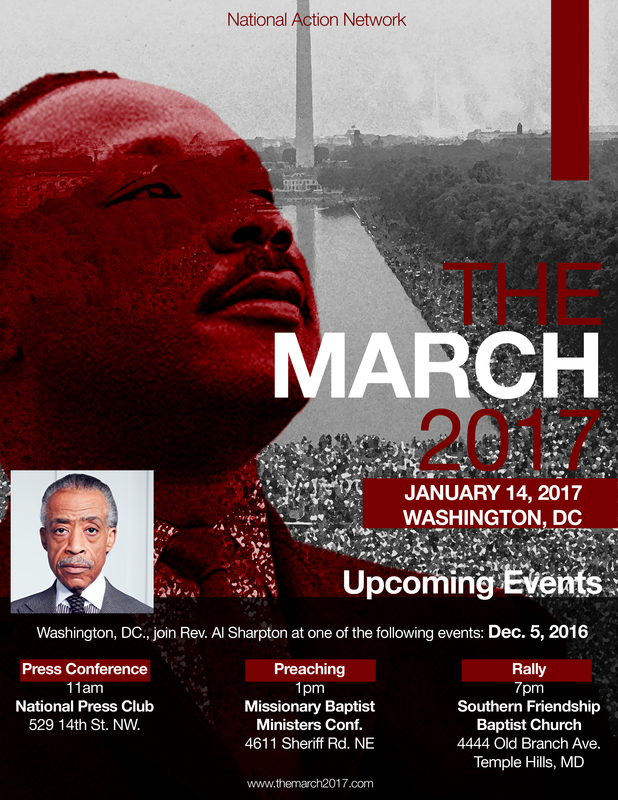 On Saturday, January 14, 2017 there will be a March on Washington. For more information click here for flyer.